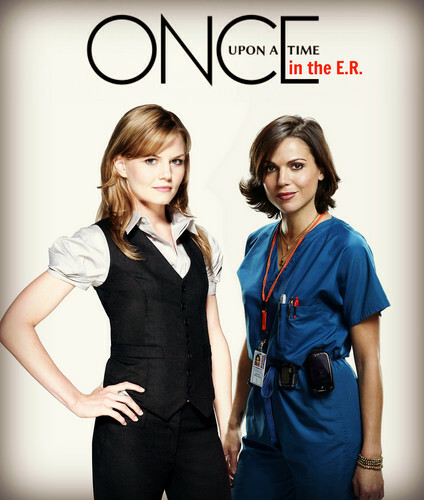 sisne reyna meets ER. . HD Wallpaper and background images in the Regina and Emma club tagged: once upon a time jennifer morrison emma swan allison cameron lana parrilla regina mills eva zambrano. This Regina and Emma fan art contains mahusay bihis tao, suit, pantalon suit, and pantsuit. There might also be portrait, headshot, and closeup.